We just about did a backflip after learning last year that the Pokemon Company would be teaming up with Niantic Labs — creators of the popular Ingress online mobile game — for an all new game titled Pokemon GO. A location-based augmented reality game for mobile devices, we got our first sneak peek at the game thanks to some leaked footage out of SXSW, followed shortly after with more official screenshots. 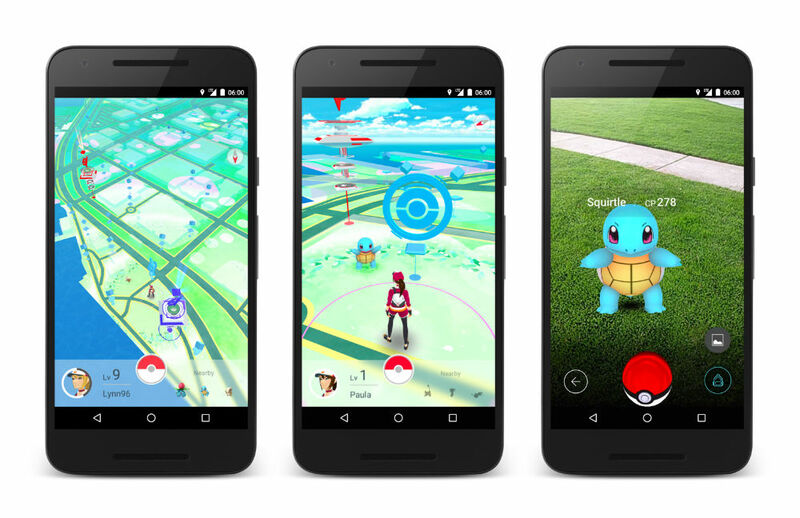 After launching in a closed beta for Australia and New Zealand, today we’re getting our best look yet at actual gameplay, showing us what we can expect when Pokemon Go finally lands in the Google Play Store (for everyone) later this year. The 8-minute long video shows the character creation process, with the ability for players to choose gender, and add color tweaks to their outfit. From there, players will need to choose their gym color red, yellow, or blue) and deploy one of their Pokemon to defend it (see how Ingress influenced gameplay?). From there, the user moves around a map (by moving around in the real world as well), collecting items and XP, before running into a wild Pokemon. At that point, the phone’s camera kicks in and using augmented reality, players will need to throw a Pokeballs to catch a Pokemon and register it in their Pokedex. We also get our first look at Pokemon doing battle after the player’s gym is attacked by someone (remember, gyms are physical locations on the map and/or places of interest). The comments on YouTube seem pretty mixed, with some criticizing the game’s overly simple gameplay. We have to admit, we were hoping to put Pokemon against each other before attempting to catch them with a Pokeball, but it seems that’s reserved for the gym battles only. Other than that, it looks great and is the perfect way to get us up and off the couch. Can’t wait until the game lands in the US later this year.